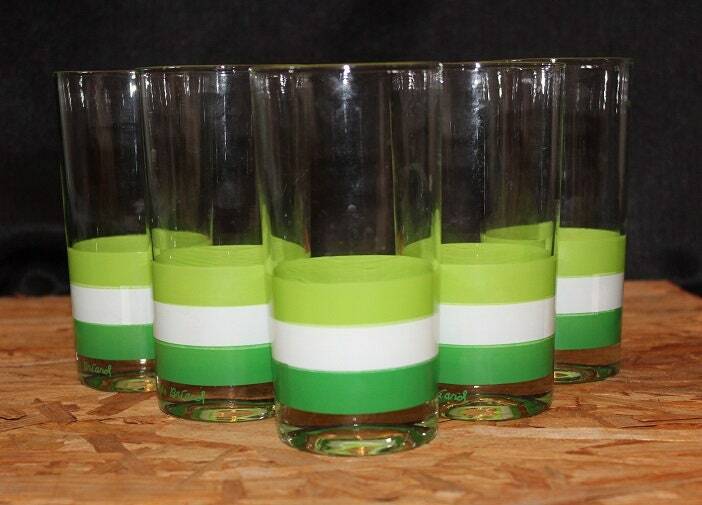 Looking to add unique bar glass set to your home bar? 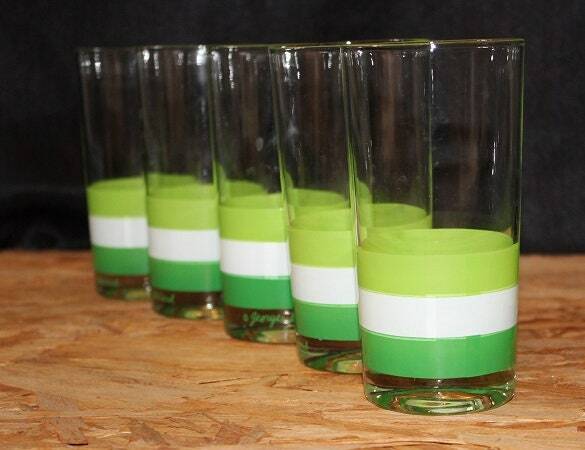 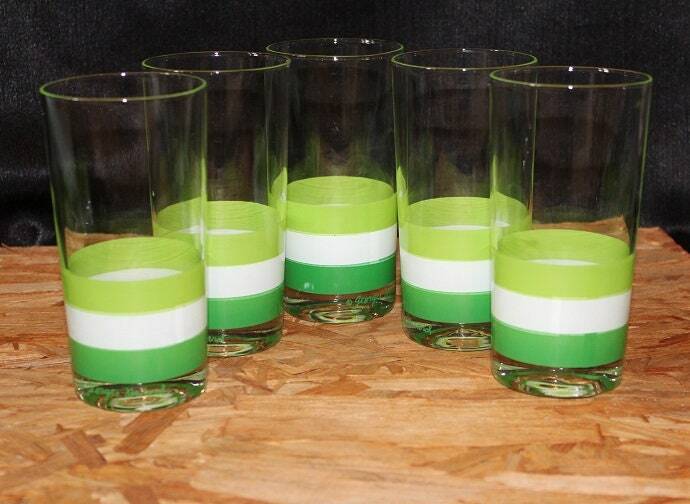 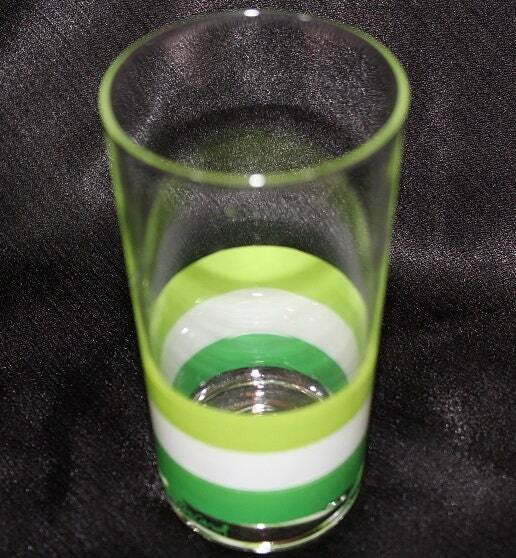 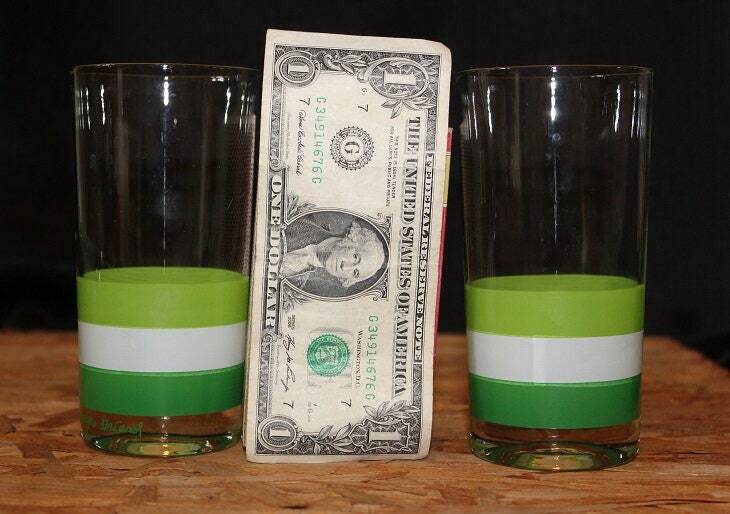 These Georges Briard glasses features a clear glass with three wide stripes of lime green, white, and dark green that circles around the middle of the glass. 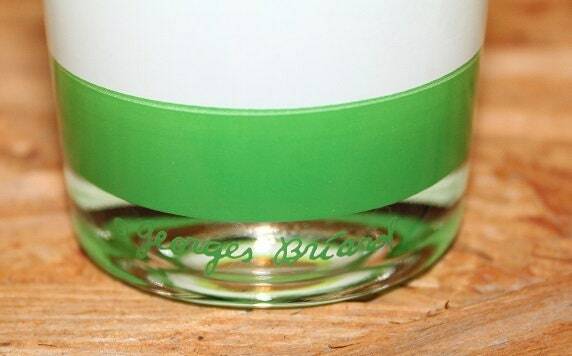 These glasses are signed "Georges Briard".